The judge said Syed must serve at least 15 years but he may never be released. Representational Image. Man in prison. 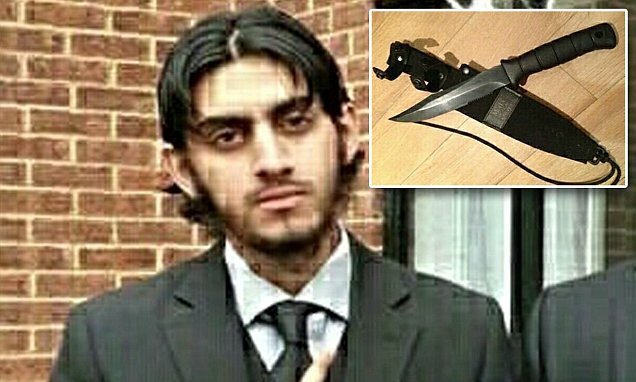 LONDON: Nadir Syed, the British Muslim man convicted of plotting an ISIS-inspired knife attack in London in November 2014 was sentenced to life imprisonment by a UK court on June 23. He was arrested hours after buying a chef’s knife in November 2014, years before Remembrance Sunday – held on the second Sunday of November to commemorate the contribution of British and Commonwealth soldiers in the two World Wars. During his trial last year, Woolwich Crown Court heard how the 22-year-old from Southall area of west London had been inspired by ISIS leaders urging attacks on Western targets, including police and soldiers. “I am satisfied that the attack was going to take place at a time close to Armistice Day. I am also satisfied that the victim was to be someone connected to Armistice Day, such as a popper seller,” Justice Saunders said. “I have no doubt that he is dangerous. In my judgement if he was released from prison he would go and try and carry out what he failed to achieve in this case. He would set out to kill in furtherance of his beliefs,” he ruled during sentencing today. Prosecutor Max Hill had said Syed was actively searching for knives of “sufficient quality to source an attack”. The court heard how Syedhad expressed admiration for the killers of soldier Lee Rigby, who had been killed on the street of London in May 2013, and how he shared violent footage of beheading from Syria and Iraq on social media. “This fatwa, and the worldwide attacks that followed, inspired the defendant to plan his own attack in this country, emulating the attack on Lee Rigby carried out by Michael Adebolajo, who he considered to be a mujahid or Islamic fighter,” Hill said. The jury could not reach verdicts on two other men on trial – Haseeb Hamayoon, 29, and Yousaf Syed, 20 – who had all denied planning acts of terrorism. They were cleared at a retrial.